The tithe convenor of the free the sheeple movement slammed the two popular preachers for different reasons. The blunt OAP, Daddy Freeze, who can be described as a religious OAP, took to Twitter to share his thoughts on Apostle Johnson Suleman’s recent purchase. The General Overseer of the Omega Fire Ministries, OFM, built a Shopping Mall, filling station and transport company as birthday gifts to his wife. On March 1, 2018, the OAP criticized a ‘billboard’ by Pastor Paul Adefarasin of the House on the Rock Church. 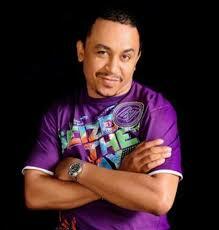 A lot of pastors have taken the heat from Daddy Freeze since his campaign started sometime in 2016.